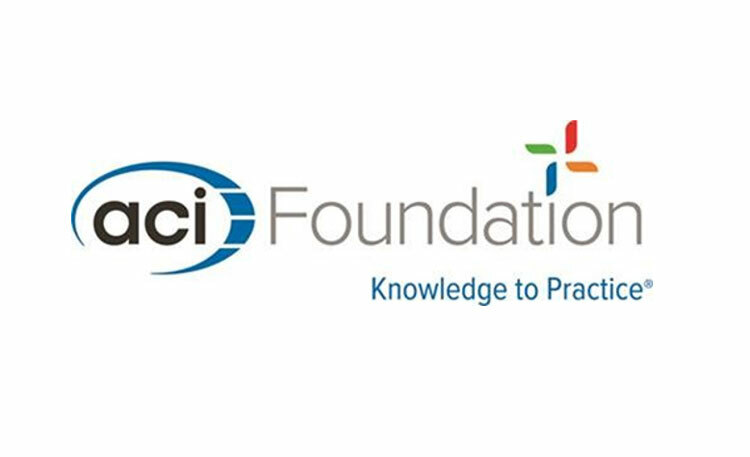 Farmington Hills, Mich. — The ACI Foundation’s Concrete Research Council (CRC) seeks to advance the concrete industry through the funding of concrete research projects that further the knowledge and sustainability of concrete materials, construction, and structures. Topics are encouraged from all areas of concrete research. Up to $50,000 may be approved per project for direct costs. Due to a 15 percent research organization overhead cost limit, the ACI Foundation may award up to an additional $7,500 to fund indirect costs. An ACI technical committee must support the research concept and participate in an advisory role to the principal investigator. Each committee that supports the research shall fill out the new ACI Committee Support Form and the chair of that committee must sign the form. An individual researcher can serve as the principal investigator or co-principal investigator on only one proposal submitted. Industry partnering and project cost sharing are strongly encouraged. All proposals must be submitted before the December 1, 2018 deadline. Principal investigators shall follow the published RFP Application Guide. Selection of awarded projects and notifications to principal investigators occurs after the ACI Spring Concrete Convention and Exposition. Contact Ann Daugherty, Director, ACI Foundation, for additional research proposal information at ann.daugherty@acifoundation.org. More information on the last year’s awarded projects and research products is available at www.acifoundation.org/research.